Xia and Roady, so glad you enjoyed The Worst Name in Third Grade. I made up the name, but then I got a letter from a real person who had that name! Danica, do you chew bubblegum like the secretary in Gremlins Don't Chew Bubblegum? Big hello to Lyra and vbxfga. 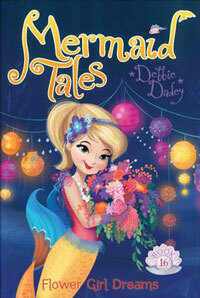 Hi Lina, I think I should do a Mermaid Tales book about jellyfish, don't you? 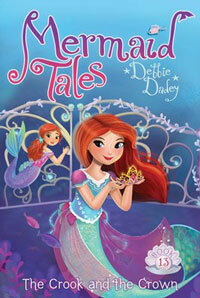 Did you know there are 16 Mermaid Tales books now? Jtty, I'm so glad you liked Twist and Shout. 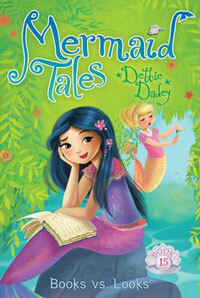 Xia and Roady, do you have a favorite book of mine? Lyra, I would be so honored for you to dedicate a book to me. Hi Lyra, I'm so glad you enjoyed Books versus Looks. Echo is a bit like me in that I'm not a very good speller either! I also like to dance. In fact, last night before I went to bed I danced around our house in my pj's! You can find out more about Echo here. Hi Danica, I hope you enjoyed Gremlins Don't Chew Bubble Gum. Sophia and Kinsey, did you know that I am afraid of roller coasters? 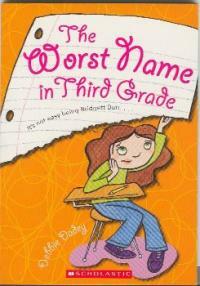 Kinsey, I did write a series about dogs with my friend, Marcia. It is called Barkley's School for Dogs. Colton, I think my favorite part of Werewolves Don't Go to Summer Camp is when Mr. Jenkins eats a spider! 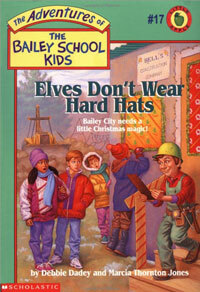 Anthony, Cheyannce, Jackson, and Myles-Marcia and I don't have any plans to write more Bailey School Kids books right now, but you never know! What do you think we should write about? Dear Sebastian, I'm glad you like Dracula Doesn't Play Kickball. A time travel series sounds fun! Andoni, my newest series is Mermaid Tales.